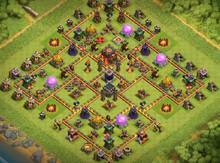 GIWI with Archer queen walk. 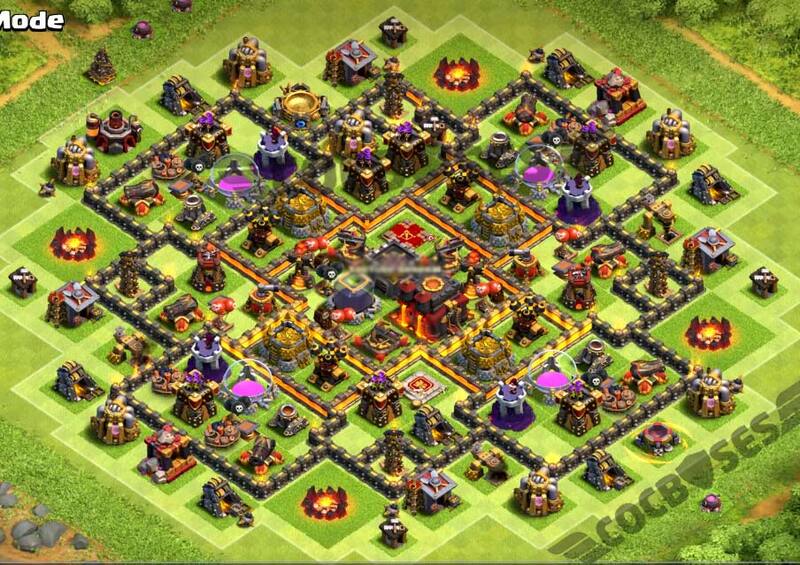 The layout mentioned below has centralized clan castle. 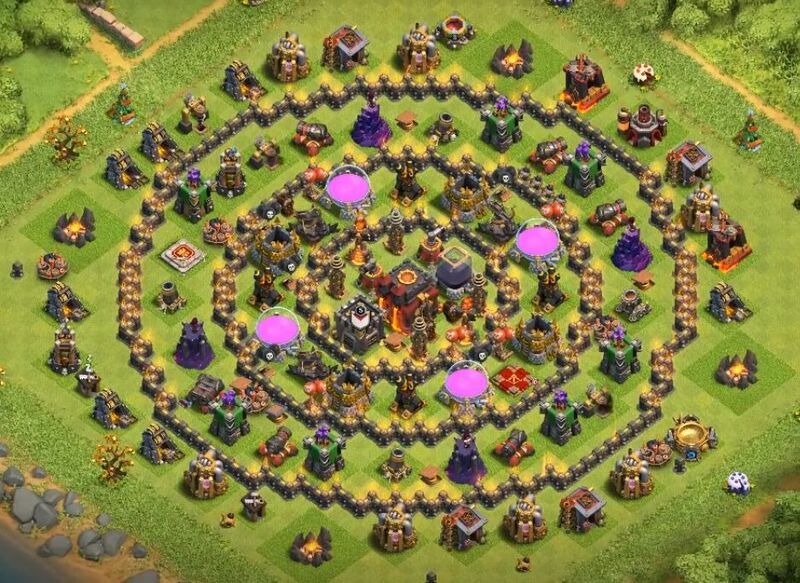 This best th10 farming base 2019 has dark elixir storage present in the central compartment so, it can protect dark elixir from opponents. 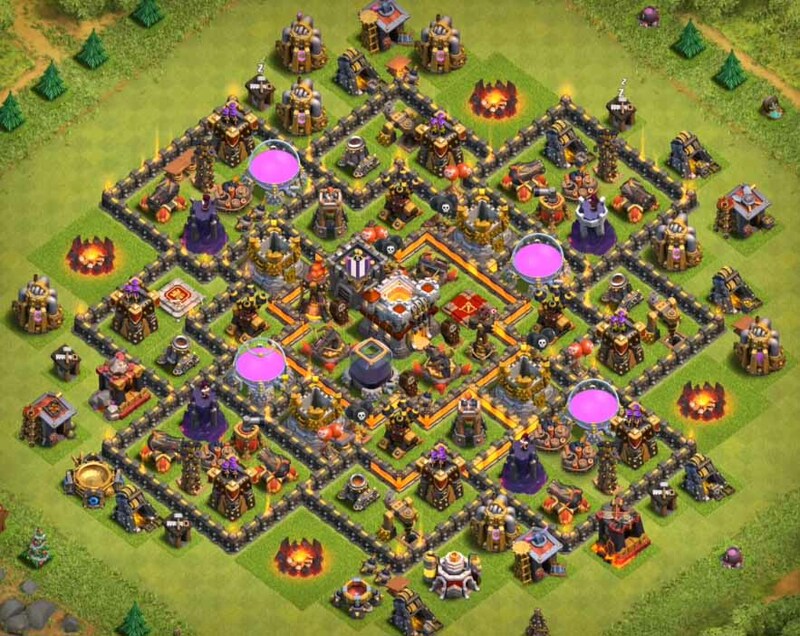 The gold and elixir storage’s are present in the outer compartment in the four sub sections divided by walls.so at any point of time in multi player battle attacks it makes harder for attacker to take out the complete loot. Look at the 2nd to the last pic. Bomb towers are currently being built ’cause he rushed. You can’t see ’em? the picture quality is sooo poor for some bases, sorry can’t see anything. Five of these don’t have either bomb tower in them. How are these at all up to date? 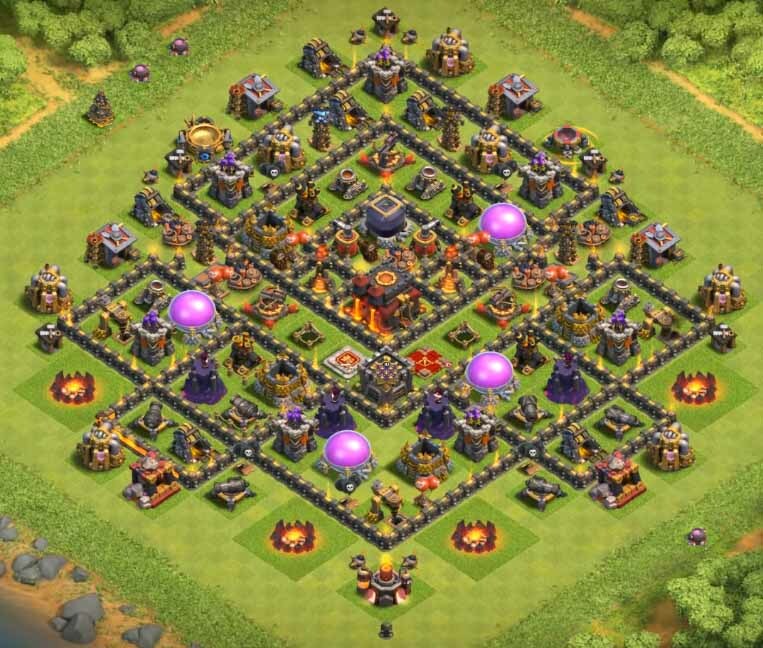 I just wasted twenty minutes meticulously placing everything down until I realized I had nowhere for my bomb towers. Now, I’ve got to start all over again. thanks for notifying us david. 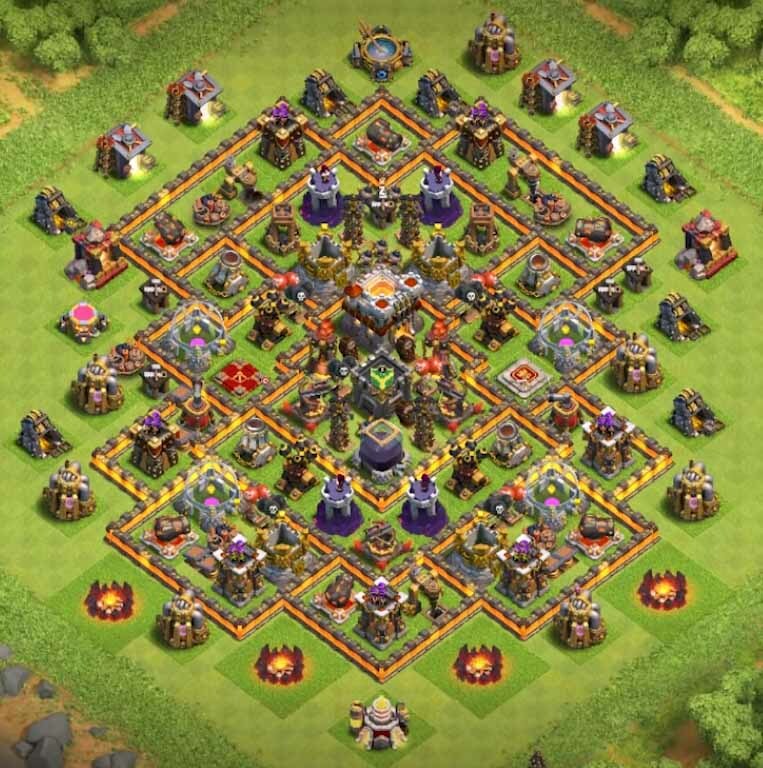 we have updated the base designs. 1st base design is flawed. Missing 1 extra wall piece. I mirrored design and have 1 gap. Had to shrink one side. Have you checked carefully ? 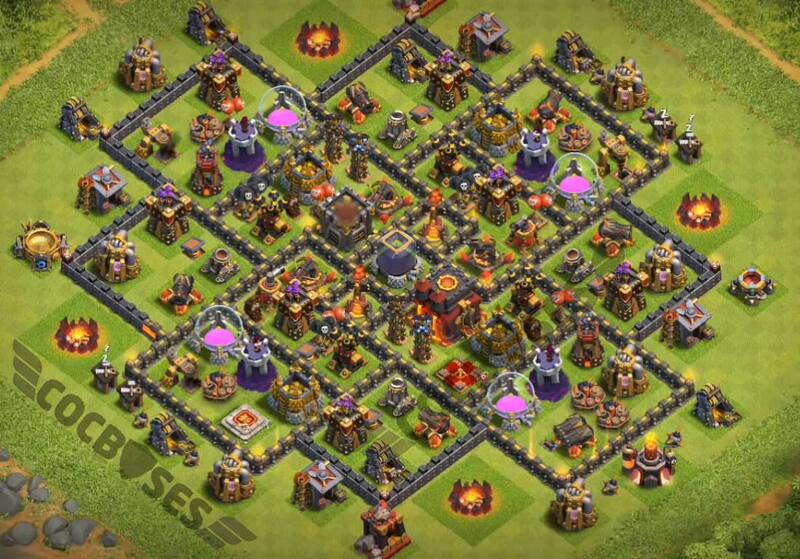 because the base design is designed used town hall 10 so chances are very thin. You might have added the missing piece of wall somewhere else in the base. But still I will check once again and will let you know the same.